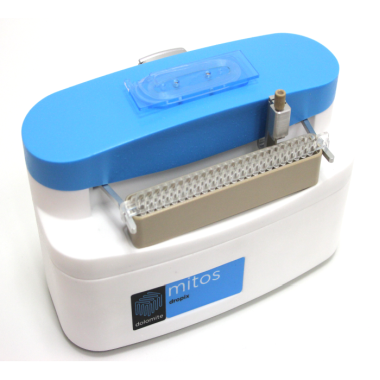 The Mitos Dropix is a compact device for sampling and droplet sequence production. It enables users to create an array of precise volume droplets from up to 24 unique sources. Benefiting from a very precise electro-mechanical design, Mitos Dropix is controlled by computer. The Dropix software (provided) allows users to fully control droplets’ size and frequency, as well as run autonomous sequences with small amounts of set-up time.